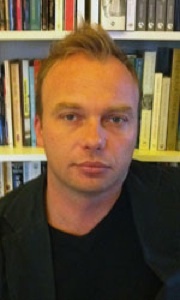 Dr Luke Morgan is a Senior Lecturer in Art Theory in the Faculty of Art & Design at Monash University. The University of Pennsylvania Press published his book Nature as Model on the French architect and polymath Salomon de Caus in 2007. He has written essays, articles and reviews for journals, books and exhibition catalogues on a wide range of other topics, from Italian Baroque painting to modern and contemporary art and design. He is a former Harold Wright and Sarah and William Holmes Fellow in the Department of Prints and Drawings at the British Museum. Luke is on the editorial board of the international quarterly Studies in the History of Gardens and Designed Landscapes and has been an editorial advisor to the Australian Book Review. In his treatise Les Raisons des forces mouvantes (1615), the architect and engineer Salomon de Caus dismissed the ‘machines invented on paper’ by his predecessors Jacques Besson and Agostino Ramelli as spurious mechanical fantasies. Prints depicting implausible fountains feature prominently in most of these books, from Besson’s Théâtre des instrumens mathématiques et mécaniques (1578) to Georg Böckler’s Architectura curiosa nova (1664), becoming, as the seventeenth-century progressed, increasingly elaborate and improbable in both technological and structural terms. This paper explores the purposes of and audiences for the extensive early modern literature of ‘paper’ fountains. It argues that these prints should be regarded as follies, concetti, idea-images or experimental proposals rather than as technical blueprints.